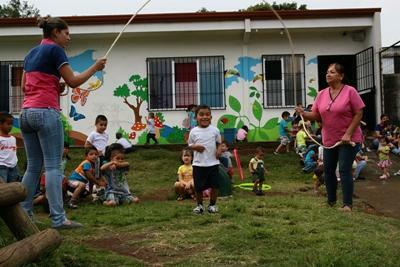 With Projects Abroad, you can do volunteer work with children in Central America throughout the year. You can get involved at care centres and kindergartens, giving much needed support and attention to disadvantaged children. You will help with day-to-day tasks, such as washing and feeding the younger children and you can assist with basic education such as teaching the alphabet and numbers. How Can I Volunteer with Children in Central America? No previous experience is needed to volunteer on a Care project, but enthusiasm and a desire to help children are essential. If you have any suggestions for games or activities that will brighten kids’ lives, local staff will welcome them. If you have skills in art, sports, drama, or music, you can use your imagination to plan exciting activities that the children will love. 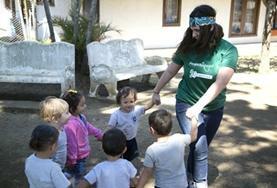 Over the years, our volunteers have worked with children at orphanages and residential care homes in Central America. They have done incredible work at these placements, improving living conditions there and creating opportunities for children by supporting their education and care. However, we have decided to move our focus away from orphanages and homes toward community and family-based care. This is because we believe stable family environments are best for the children we work with. Read more about orphanage volunteering and our position on it. This means that instead of volunteering in orphanages in Central America, volunteers will work in placements like day care centres, kindergartens and schools, or support groups for the elderly and mothers and babies. This will help Projects Abroad build stronger relationships with local communities and – most importantly – help families stay together and flourish. 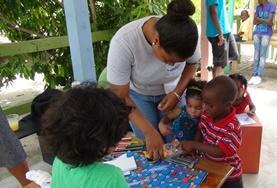 Volunteer in Belize and help provide care and education to children from impoverished backgrounds. These placements are understaffed and have limited resources, so they are in desperate need of volunteer aid.